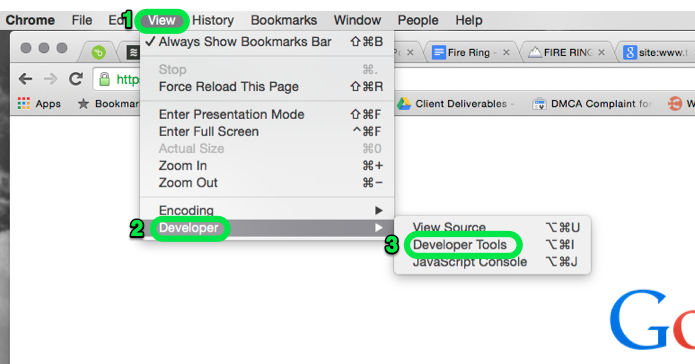 Did you know Chrome's Mobile Emulator Tool is easy to use? Based on that fact, we all are doing our due diligence by triple checking that our clients are mobile friendly. Of course, we’ve checked in Google Webmaster Tools and used Google’s Mobile Testing Tool. However, an often overlooked – and one of the easiest – ways to do this is by good ol’ fashion searches. By Googling your site or your client’s site on a smartphone, you can ensure you see the gray “mobile-friendly” label next to the domain. If you don’t see it, you have some work to do before April 21st. For technical SEO’s, this is obviously a cumbersome task on a small screen–especially if you have many clients. 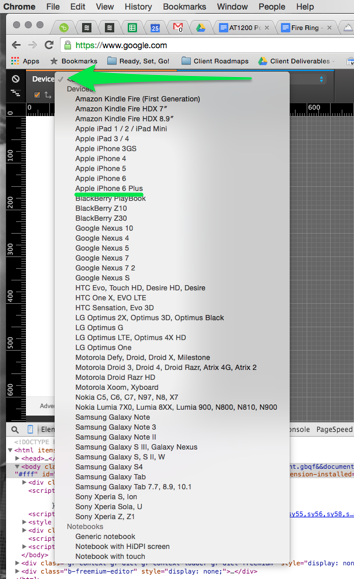 So in an effort to optimize the process of testing clients’ sites on mobile, we turned to Chrome’s Mobile Emulator. After you’ve selected a device, make sure you refresh the screen. This type of search allows you to quickly scan the page-by-page results for a mobile-friendly designation. Since the algorithm works at the page level (as opposed to the domain level), you may find a few stragglers here and there that aren’t mobile friendly. Often these have different templates or CSS files. As you can see, we have a little bit of work to do for this client. Get to searching and let us know if you have any other mobile friendly tips!